Need a trade show rental booth in Atlanta, without the stress? SEARCHING FOR TRADE SHOW BOOTH RENTALS IN ATLANTA? 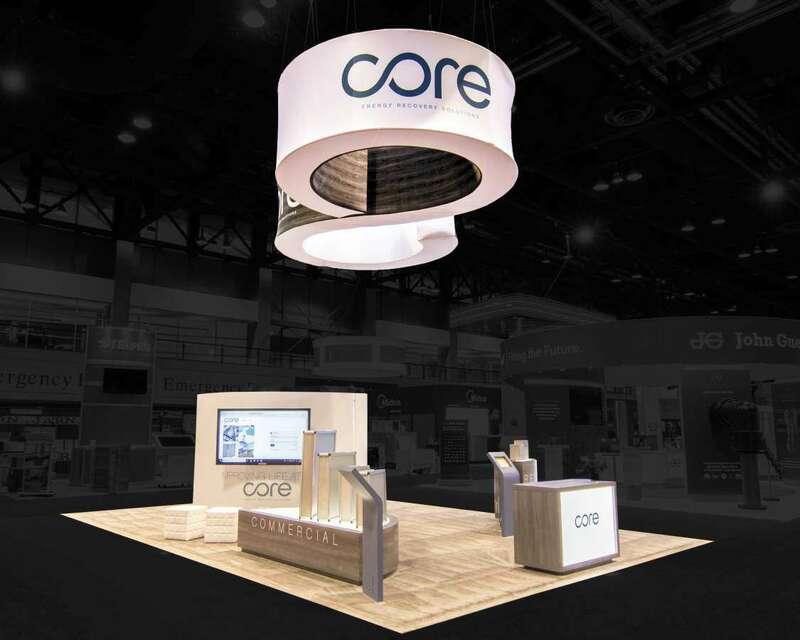 Are you searching for a trade show booth designer and builder to add dimension to your next event in Atlanta? High-quality trade show exhibit rentals and on-site support services are just a click away. At Exponents, the world’s leading trade show booth manufacturing company, we collaborate with marketing teams of industry-leading brands to enable them to get a completely hassle-free and seamless experience of participating in trade shows. 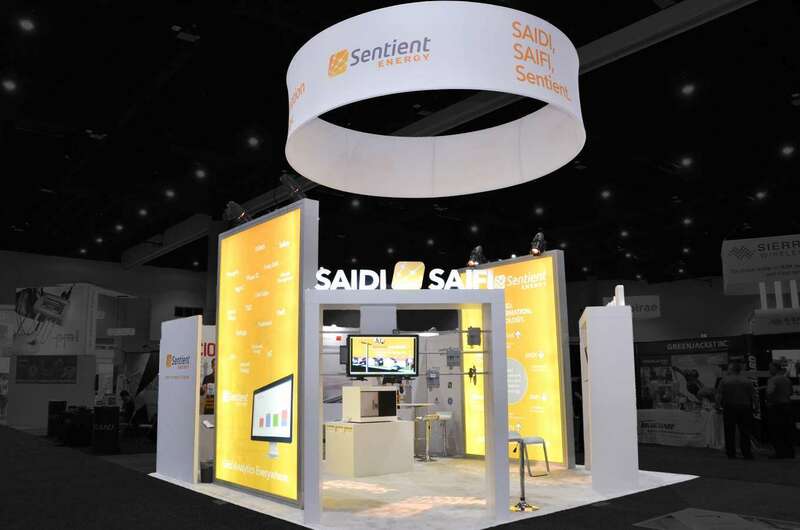 With a network of trade show booth rental and support services across 50 cities in the United States of America and a portfolio of successful collaborations, we are the preferred choice of trade show rental booths vendor for leading brands in the country. 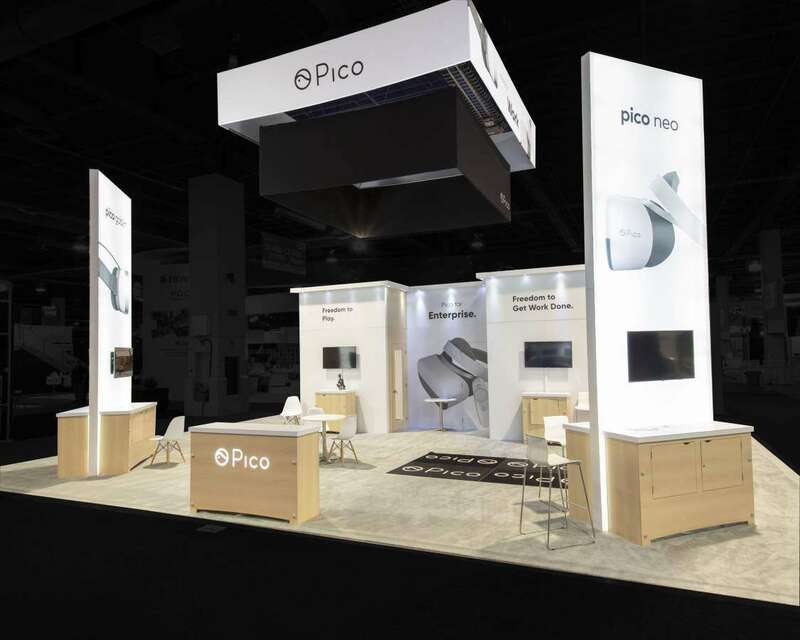 Explore the all-inclusive trade show booth rental services from design to build, from the house of one of the finest Atlanta trade show booth builders. Streamline the financial planning process for trade show participation and stay in control of dollar spend with our transparent pricing strategy on all trade show exhibits. Get a dedicated project manager to receive near real-time updates and reports on project status and evolving situations to proactively address challenges and receive on-time delivery of the trade show exhibits rental. Deploy reusable and affordable exhibit rentals in Atlanta and rationalize costs across events in the trade show marketing calendar. 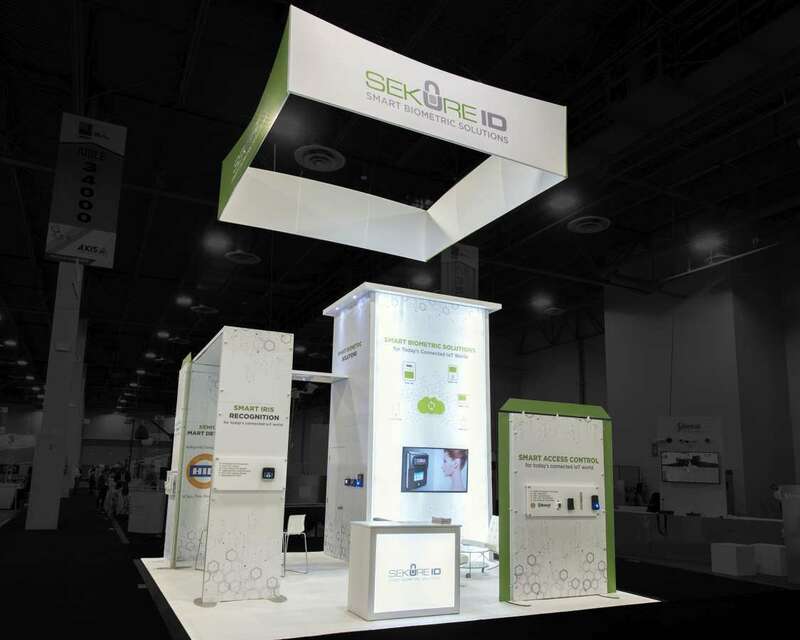 Get a trade show booth of the custom size, dimensions, and configuration with add-on features and brand based color synchronization. Experience reliability with our two-stage demonstration of the exhibit rental. Get a live demonstration of the exhibit rentals in Atlanta ahead of the trade show to stay assured of performance, features, and functionality. Hire a dedicated team of Exponents’ staff to rationalize resource and time engagements for the deployment, on-site supervision, and dismantling of the trade show exhibits rental. For clients who are away from their home ground, this is the perfect solution for you. We provide Atlanta Trade Show Booth Rentals that are guaranteed to give your exhibit the spotlight it deserves. Our unmatched affordable rental booths are modular and can be easily set up with minimal or no familiarity at all. Our rental designs are flexible and can accommodate customization as per brand guidelines. We ensure that our clients get more than what they bargained for. With our economical turnkey rental package, our clients are guaranteed results at lower rates, with no compromise in design. 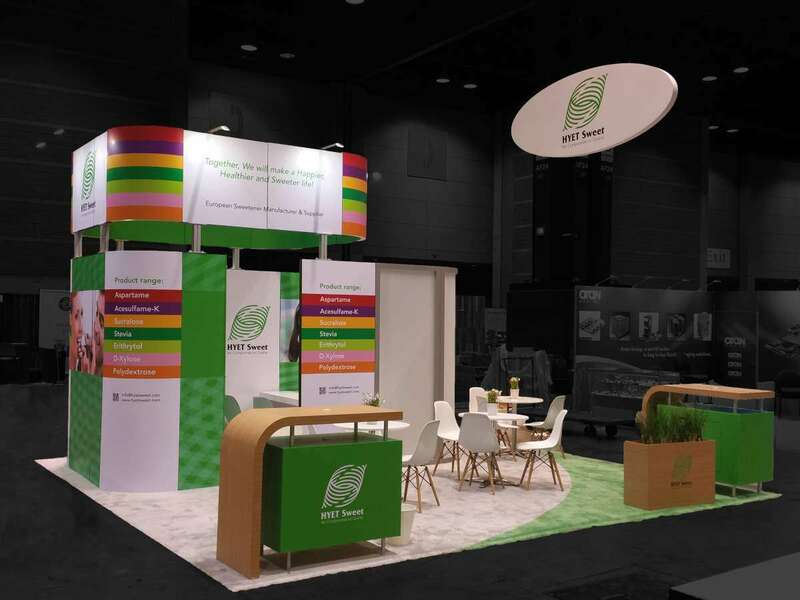 We offer turnkey booth packages for 10×10 rental booths, 10×20 rental booths, 20×20 rental booths, 20×30 rental booths, 20×40 rental booths, 30×30 rental booths and if you are looking for a custom booth size, our design team will assist you to create custom designs. Why settle for mediocre when you can reach for the stars? 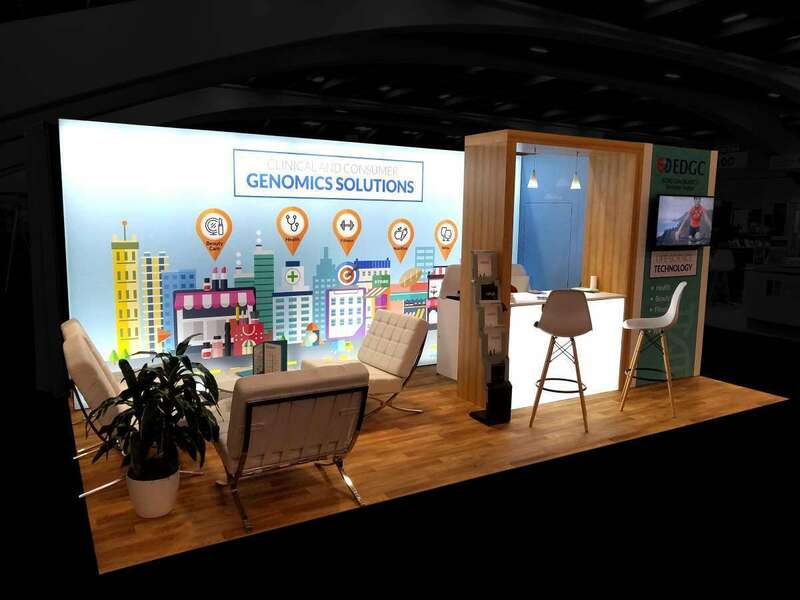 Our Atlanta trade show booth rentals are the ultimate combination of art and science, integrating customer needs into a perfect exhibit, guaranteed to turn eyes. Exponents has deep roots in the industry for over 30 years and has remained unrivaled in terms of expertise and results. With a successful client base spreading over 18000 clients across the world, we have guaranteed an excellent return on investment on all our projects completed until now and will continue to do so. 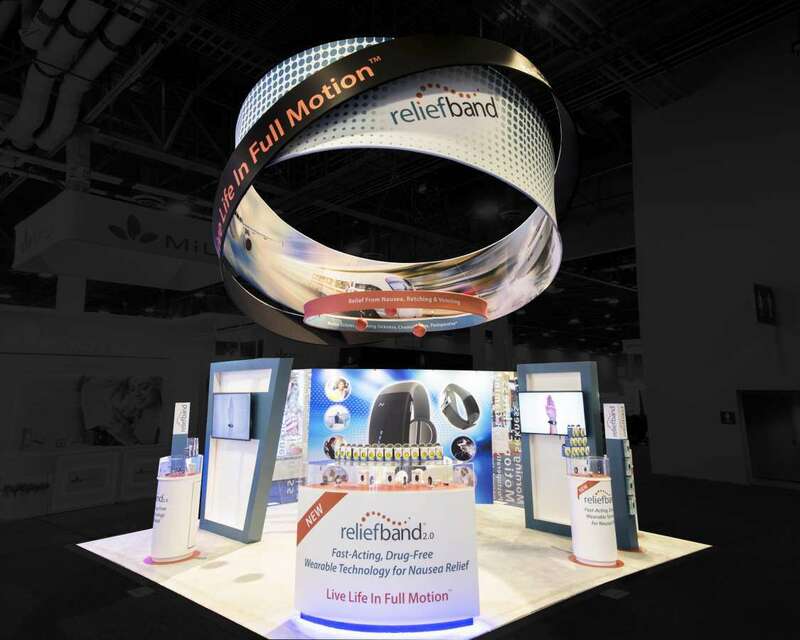 Our firm knowledge and proven expertise in the industry is a solid reason why you should trust us for all your exhibit need. We provide the best custom exhibit rental in Atlanta and take your brands to heights beyond your imagination. We have had hands-on experience in this industry for the past 30 years, and have guaranteed optimized results. If you choose us, you will be so glad you did. HOW EXPONENTS ENABLE YOUR BRAND TO PARTICIPATE IN ATLANTA TRADE SHOWS? With all-inclusive exhibit rentals in Atlanta, we at Exponents can enable you to address all your requirements for a high return on investment yielding trade show performance in the city. With us, your marketing team can get access to the best quality trade show display rental in Atlanta in the shortest turnaround time. We enable you to explore the most amazing trade show exhibits rental design ideas to economize the use of the built area and the floor plan. We offer you a two-stage demonstration of the trade show rental booths for a systematic quality check, first at our factory premises and second, at your site to proactively address challenges if any and resolve them at the first instance. We deliver your trade show exhibits just on time to enable your marketing team to stay on course for a completely hassle-free experience of participating in the trade show and extract value from your dollar spend and investments of efforts, resources and time. HOW EXPONENTS NAVIGATE YOUR BRAND TOWARDS SCALING TRADE SHOW SUCCESS? 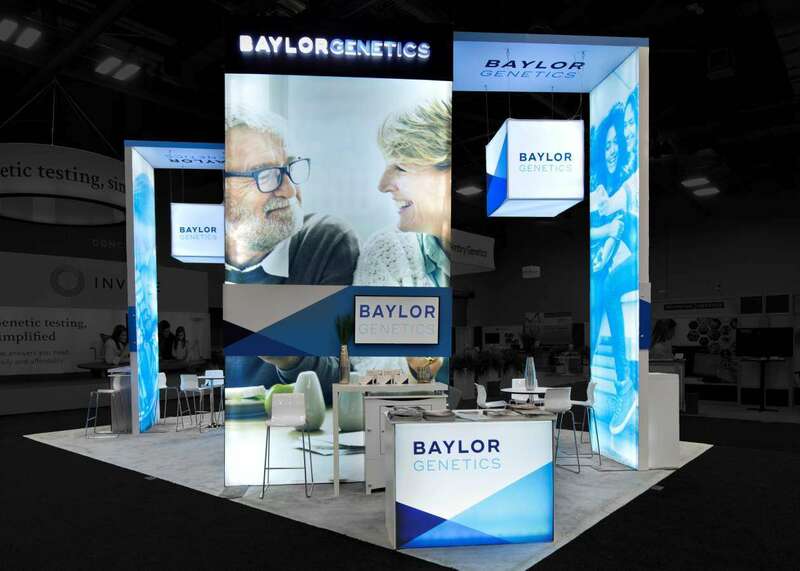 Exponents can navigate your brand towards achieving your trade show marketing goals with its offerings of a trade show exhibits and booth rentals in Atlanta. 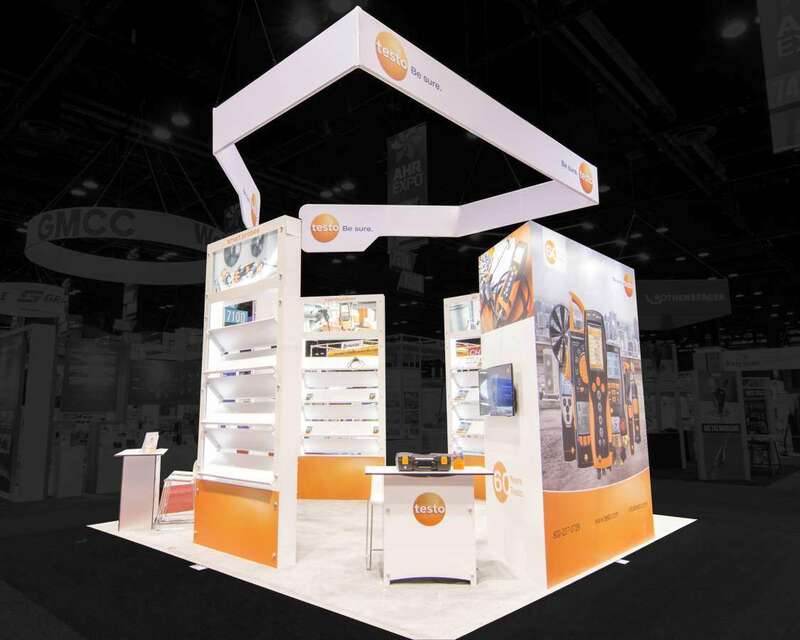 We offer you a collection of over 500 standardized trade show booth design prototypes to choose from. 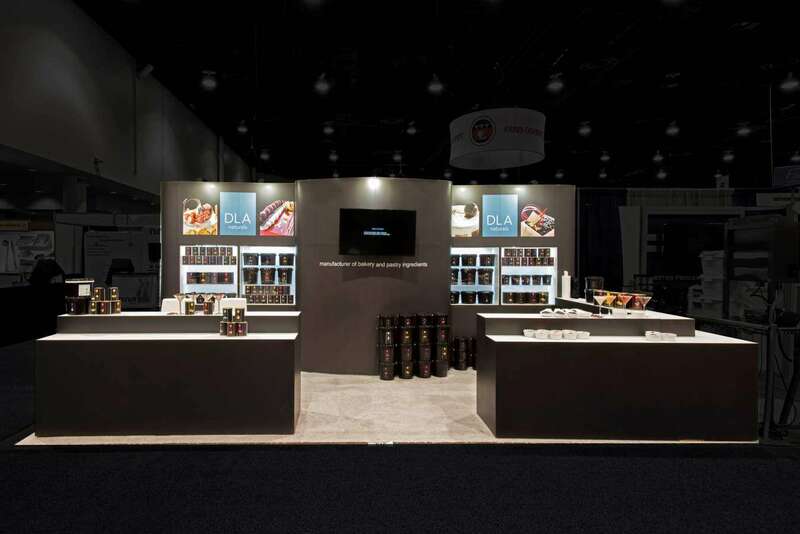 Each specimen trade show booth rental is designed and quality audited by a team of our ace designers and engineered to enable you to demonstrate the unique selling proposition, product offerings and excellence of your brand to the target audience of visitors at a glance. 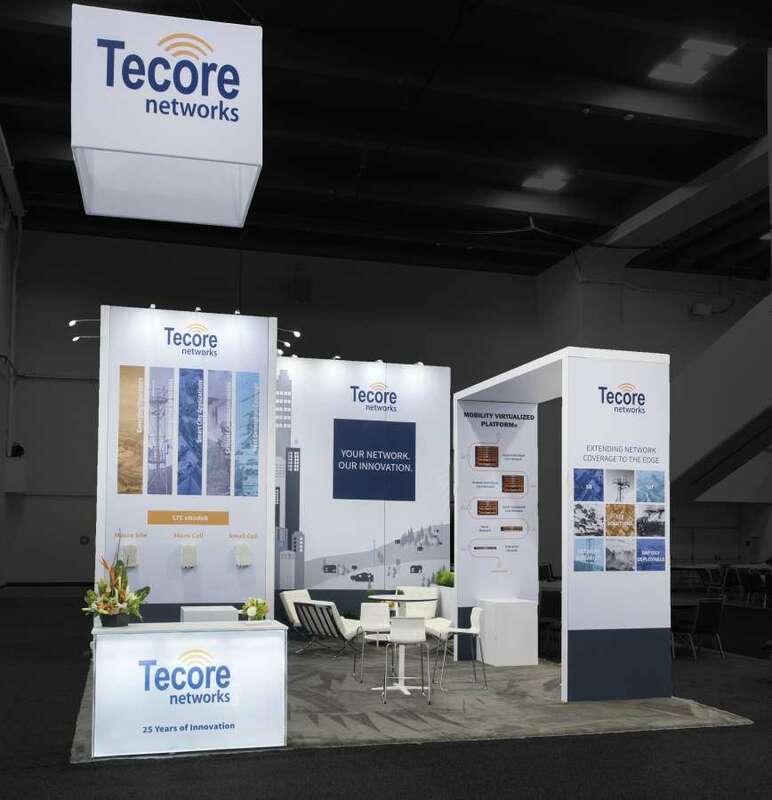 Match the price against your budget, find the trade show booth rental design that offers the best strategic fit with your brand image and confirm your order. WHAT IS SPECIAL ABOUT ATLANTA TRADE SHOW CONFERENCE BOOTH RENTALS FROM EXPONENTS? Of all the Atlanta trade show booth builders, Exponents are the only company to offer open and pre-committed prices on its entire range of trade show booth rentals. We are the only company in the United States of America to announce fixed prices on our packages of exhibit rentals in Atlanta and all major trade show locations in the country. Budget Allocation: We offer marketing executives a reference point to conceive their trade show marketing project and assess the value proposition of our deliverables objectively in terms of costs and thus allocate a budget to move forward. No Add-On Billing: With our pre-committed prices, brand marketers steer clear of challenges of add-on billing and stay within budget to achieve all their marketing goals. Return on Investment: With compelling information on deliverables, we empower brand marketers to assess the merit of participating in a trade show and assess its economic feasibility and thus estimate the likely return on investment against the dollar spend of the project. International Big R Show – Automotive Parts Remanufacturers Assn.